This series was originally posted on the Arts Umbrella Dance Company Parent Blog. Check it out for more stories, photos, and more! For the fifth year, AUDC grads have had the opportunity to choreograph their own pieces, mentored by world-renowned choreographer Crystal Pite. The program is open to final-year dancers in the Graduate Program and, for most, it’s their first real attempt at envisioning and creating a new work. 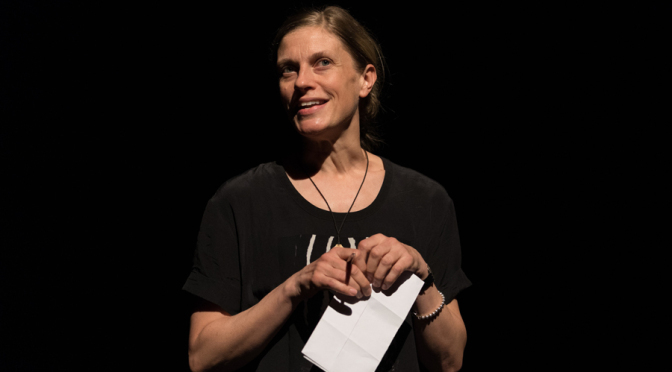 As you can imagine, to be able to talk with, and get support from, Crystal Pite, is a tremendous privilege and learning experience. Last year, the blog team realized that we could provide another helpful learning experience. By interviewing these emerging artists, we could give them the chance to practice “meeting the media” and give them a sense of what it was like to speak about their concepts and see that reflected back in a blog post. The experience turned out to be one of the highlights of the year for the blog, so we were delighted when we were asked to interview this year’s choreographers. The 2017-18 program was very popular, with 10 choreographers wanting to take part, so choreographers were asked to partner up and co-create. This turned out to be another learning opportunity, and a very positive aspect of the year. When I interviewed the partners, I enjoyed how every single one of them listened to their partner and engaged with what the other person was saying. The partnerships were obviously strong working relationships, and it was only later, when I was transcribing the recorded interviews and trying to untangle things, that I really realized how symbiotic the partnerships had become. There was a lot of completing each other’s sentences, focused listening, and engagement. It was delightful, and I hope it comes across in the interviews. Another very special addition this year: the final performances were held at the Scotiabank Dance Centre’s theatre. Moving the pieces into a real theatre space certainly added another level of learning for these young choreographers, as you will read in the interviews, and I’m sure it was an experience they will look back on with gratitude. The interviews took place about two weeks before the theatre performance. Once again, this has been the highlight of my year on the blog. Listening to these creative, thoughtful, young choreographers was truly a joy. My favourite question this year, was asking each person to tell us, “What was the one thing you found most valuable about working with Crystal Pite?” The reaction to this question, from every single choreographer, was first a gasp, and then an emphatic declaration that this was the hardest question — how could they possibly pick one thing from the many things they learned from Crystal? But then, on the night of the performance, Crystal introduced the show, telling the audience that she felt she hadn’t really done too much! Obviously, there is the most wonderful kind of disconnect going on here, and I’m extremely certain her influence has been enormous, and so treasured. 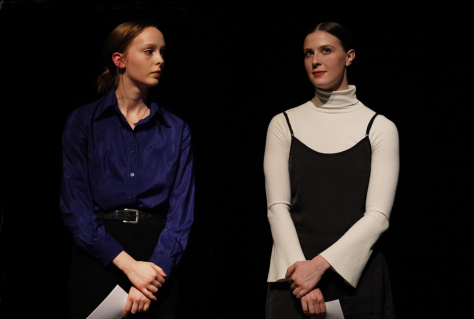 Finally, we wish to recognize Katarina Nesic and Georgia Boddez, the two graduate dancers who did a tremendous job organizing the show, setting up the interviews, and working as liaisons with Arts Umbrella staff, the blog, and the dancers (all while being very involved dancers in the projects). Congratulations to them on a job well done!